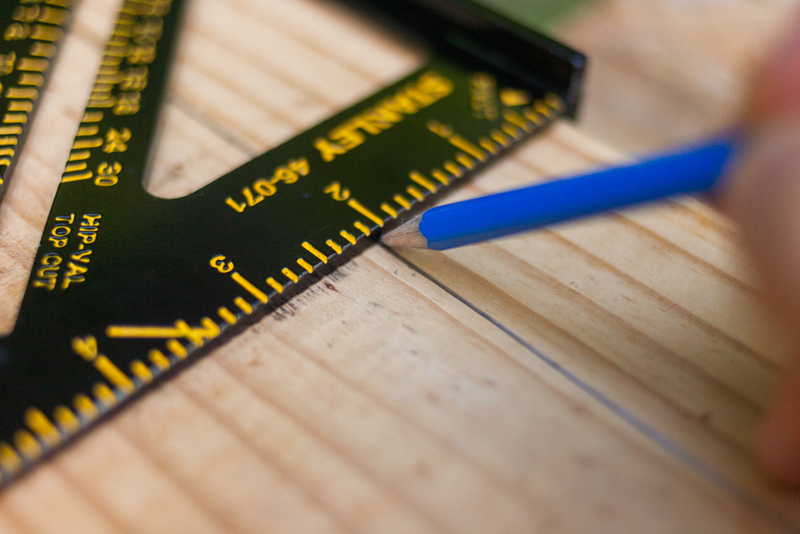 If you're doing any kind of DIY or construction work, there are a handful of absolutely essential tools you need in your belt: hammer, tape measure, level, to name just a few. Batting cleanup in this list is the humble speed square. Easy to use, inexpensive, light and portable, made of one piece of metal so it won't become untrue if dropped. And most importantly: multifunctional. How many functions, you ask? 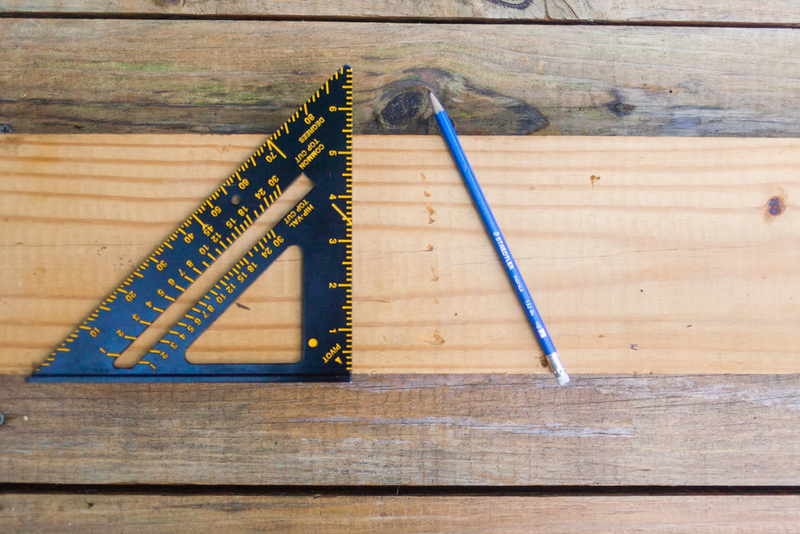 Read on for ManMade's five top ways to use a speed square! Wait! 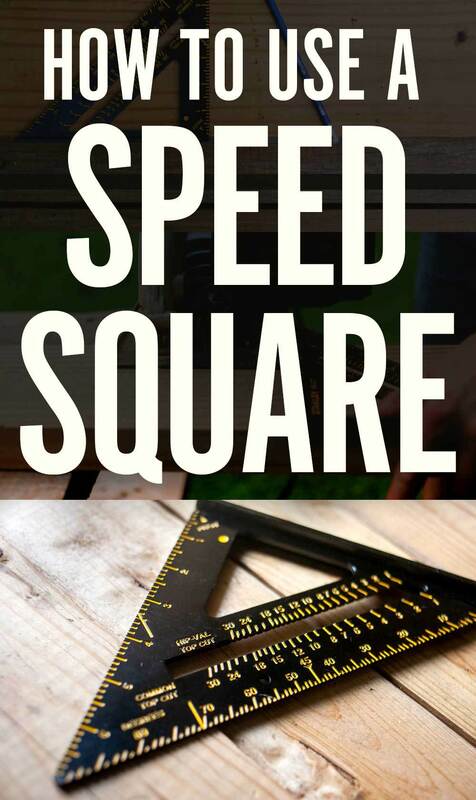 Do You Already Own a Speed Square? Yeah? Great. Read on, amigo. If not, there's a no-brainer option: the classic Swanson 7" square costs around $8-9, has a proven design, and will last for life. Pick one up today, and get making! 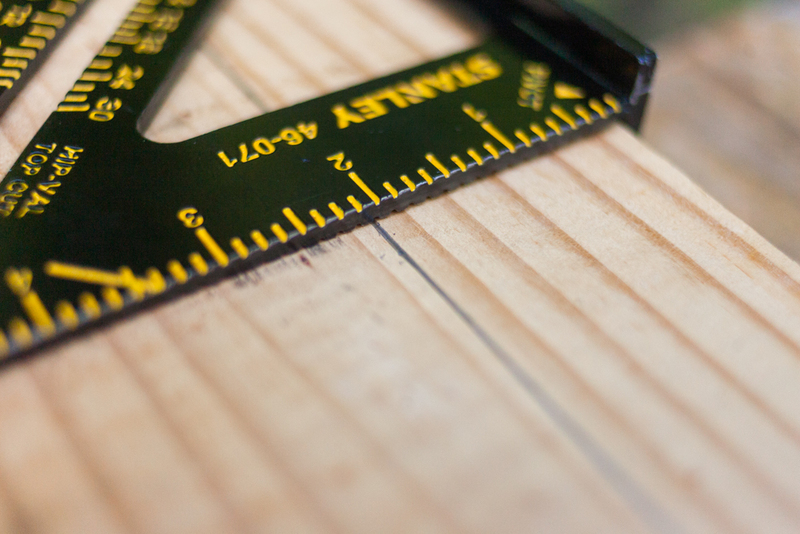 Need to draw a guideline on your lumber for making a rip cut? 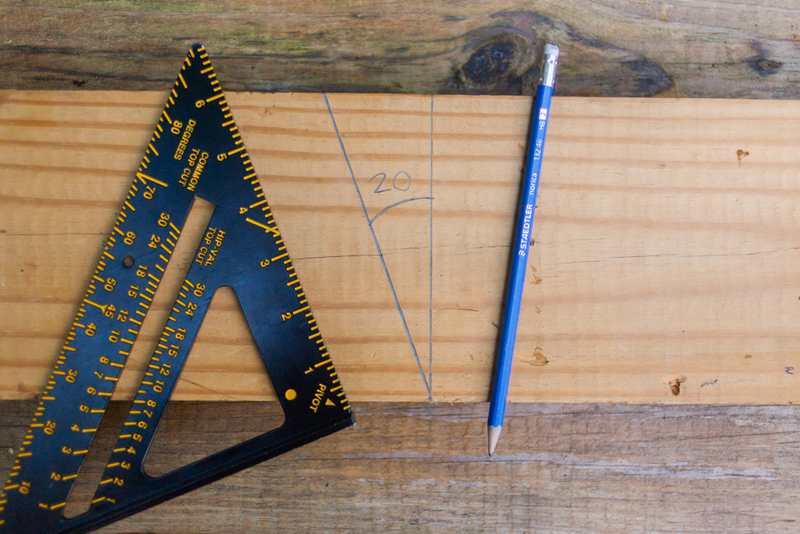 No problem—your speed square can help you scribe 'em true. 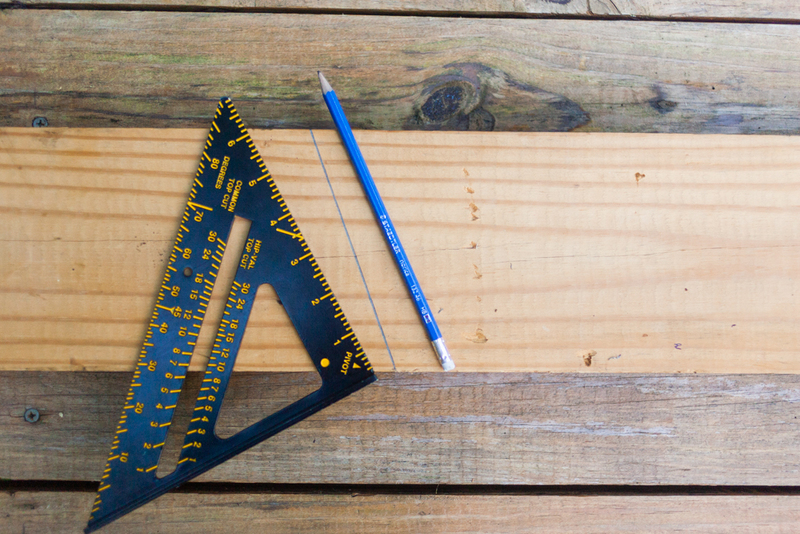 Place the speed square lip along the outer edge and your pencil tip in one of the notches, and boom. 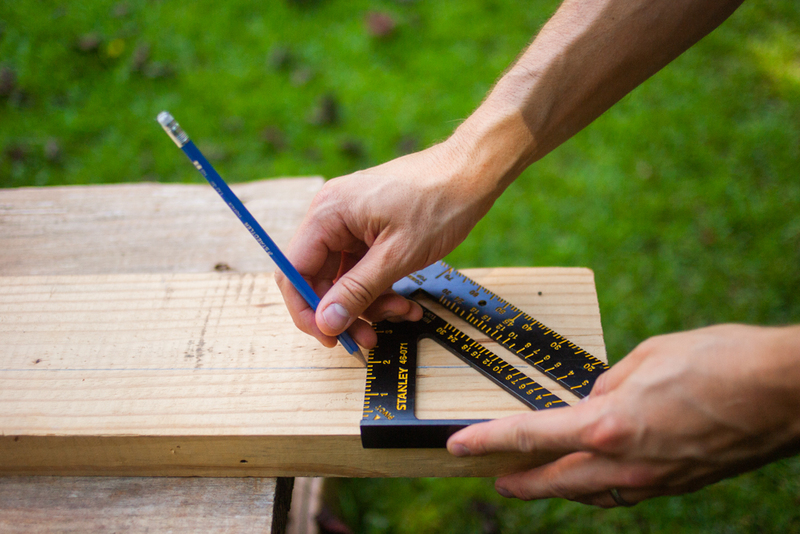 Note: if you're going this route, we do recommend the Swanson speed square, which has scribe line notches every 1/4". Alternatively, as a test, I was able to get pretty consistent lines with my Stanley 7" (pictured) because of the slight recess in the measurements. There are times when you'll need to determine your roof pitch—when installing skylights, designing an addition, or getting an estimate for replacement, for example. 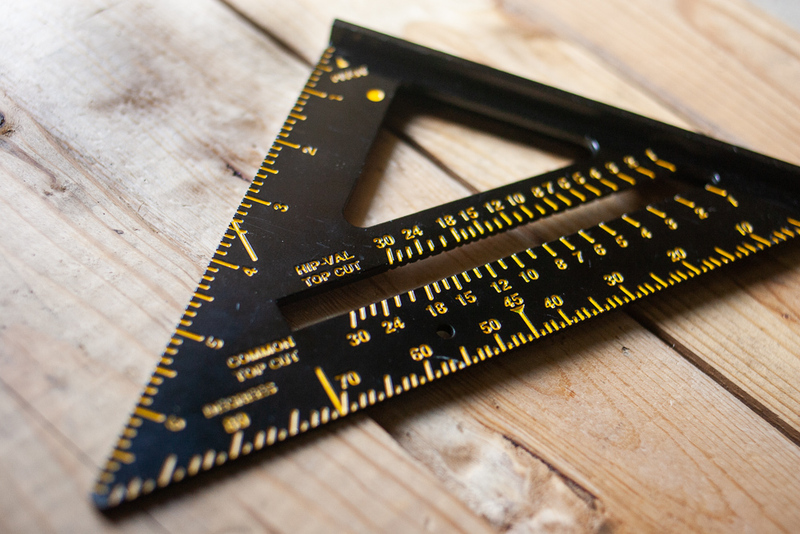 A speed square, with a level, can help you quickly get a ballpark idea of your pitch angle. 1. 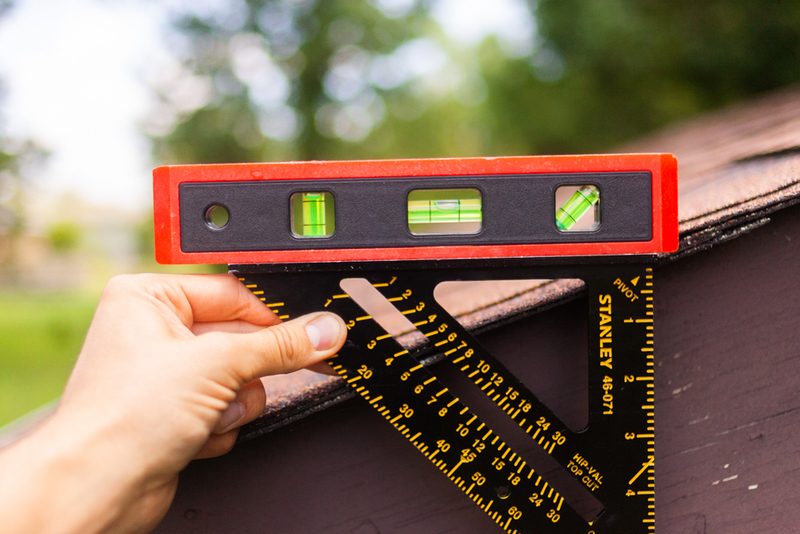 Set your speed square's lip edge along the edge of your roof with a torpedo level on top of it. 2. Pivot the speed square until the center bubble is level. 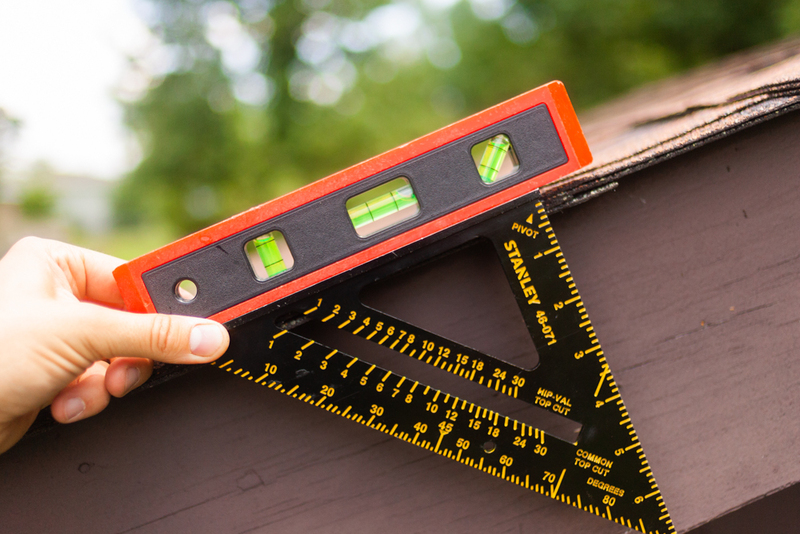 Check your angle measurements to determine roof pitch. 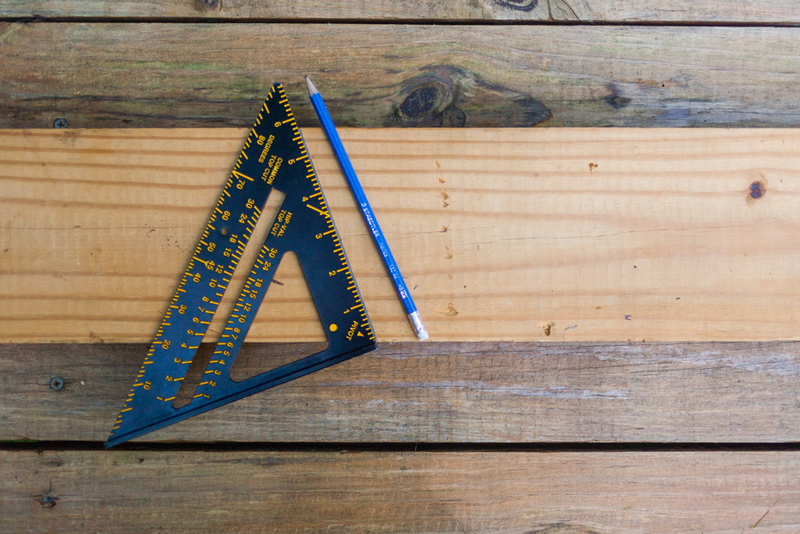 While you'll probably be using another tool to check for square, like a combination square, framing square, or tri square, it's handy to know that you have this option in case your other squares are halfway across the job site. 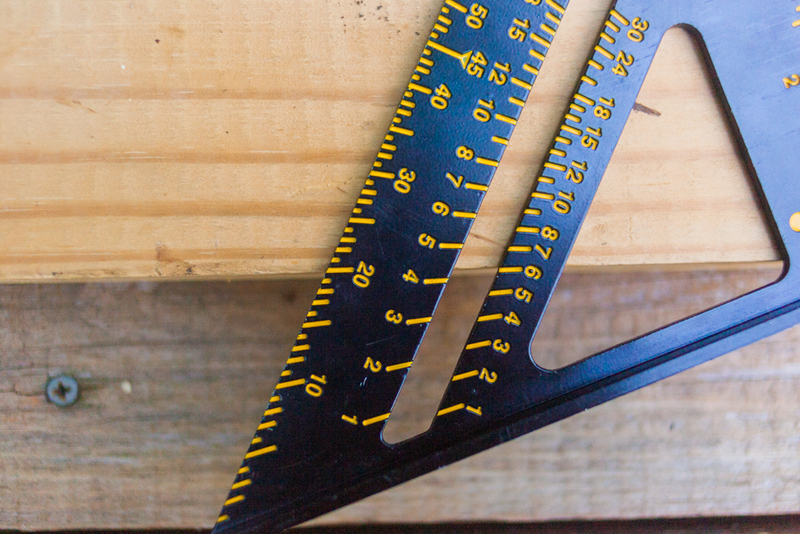 Simply place the right angle of the speed square on the inside of your joined lumber and make adjustments as needed. 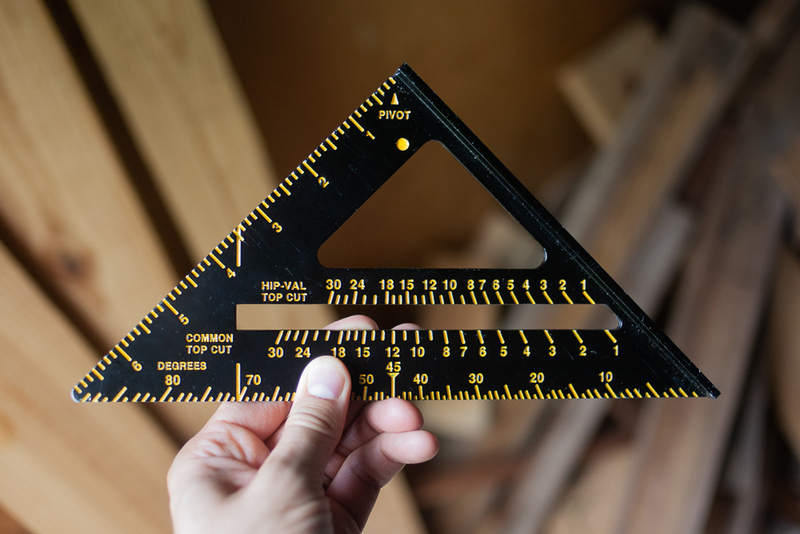 Finally, you can use your speed square to measure any angle for cross cuts—as a try square for 90° angles using the straight edge, a miter square for 45° angles using the hypotenuse, and as a protractor using the straight edge and the pivot point. It's pretty easy once you get the hang of it. 1. 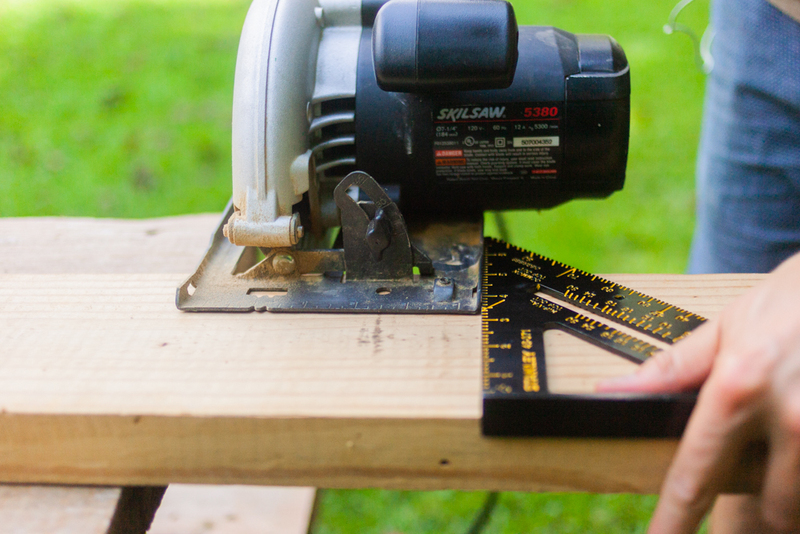 Place the edge of the speed square with the pivot point at the starting point of your angled cut. 2. 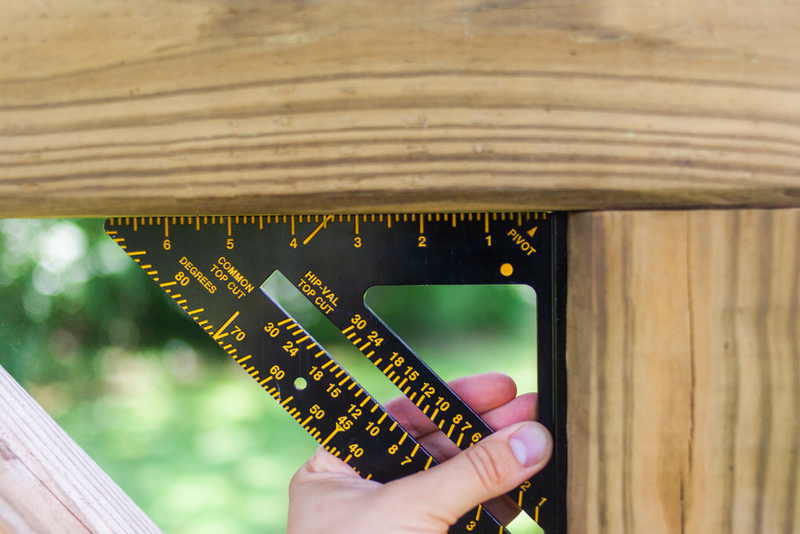 Pivot the lip away from your lumber's near edge until the angle measurement reaches your desired angle. 3. Draw your angle along the edge of the speed square. You're ready to roll! What's your favorite use for your speed square? Leave your comments below!